LieberCode: Libya & The Death Penalty: Can the ICC Complain About Too Much Punishment? Of course, the line is hard to draw here. Consider a hypothetical country that issues a paltry sentence, not because the local judges are in the pocket of a politically connected defendant, but simply because the country has absurdly liberal standards of punishment and believes in a policy of forgiveness. What result then? That’s not an easy case to answer. Some scholars have gone even further and suggested that the only thing that matters for purposes of complementarity is the sentence that the defendant receives. Kevin Heller has an interesting article expressing this position. However, Kevin mostly deals with the question of whether the local country has punished the defendant enough to satisfy the demands of the Rome Statute’s complementarity regime. But let’s turn the question on its head. Could human rights activists object that Libya is punishing the defendants too much, if and when they are sentenced to death? One can very well imagine why human rights lawyers would be motivated to make such an argument. The death penalty has been abolished in Europe; abolition is a requirement for any new state seeking admission to the EU; and the death penalty certainly violates the human rights standards of the European Convention on Human Rights (Protocol 13). Human rights lawyers go even further and sometimes suggest that the death penalty violates customary international law or even an emerging jus cogens norm. 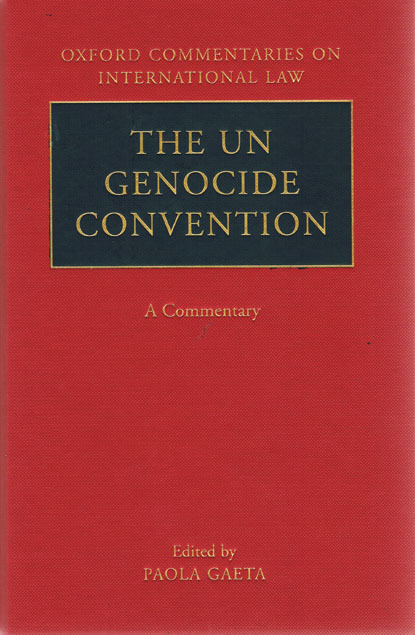 As I have written before, I believe such claims about a worldwide customary norm to be largely exaggerated, and in particular I find little to no evidence of a binding customary norm regarding the application of capital punishment for international crimes such as genocide, crimes against humanity, and war crimes. The legal analysis ought to be sensitive to the distinction about context, i.e. 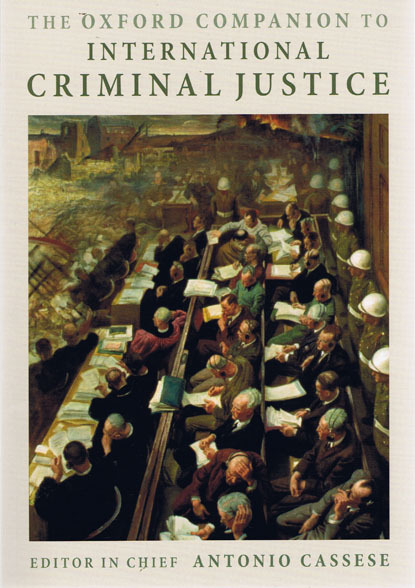 whether we are talking about abolition of the death penalty for ordinary domestic crimes, or the permissibility of capital punishment for truly exceptional and extraordinary crimes such as genocide. In any event, the question of how the ICC will view the death penalty issue is of prime concern here. It is one specific example of the larger problem of whether the ICC could assert complementary jurisdiction based on the lack of fair trial rights given to a defendant. Again, this isn’t the issue of being too lenient to the defendant, but rather the issue of not being fair enough. Can this argument be made within the context of complementarity? My sense is that it might be possible to make this connection in the context of the lack of procedural protections, but to make the claim about Libya’s death penalty would require precisely the legal proposition that I have rejected above, namely that the death penalty per se violates a global human rights norm (as opposed to just a regional one in Europe). As a final note, let me connect this argument with the previous discussion here at LieberCode, opinio juris, and EJIL Talk, over whether Libya is required to send the defendants to The Hague immediately or whether it can wait until the complementarity challenge is complete. Assume for the sake of argument that the defendants are sent to The Hague right now. Then assume that Libya wins its jurisdictional challenge and the ICC Pre-Trial Chamber decides that the defendants should go back to Libya to face trial. Would the ICC be willing to send them back to Libya even though they will face the death penalty? As a separate question, would the Netherlands (who would have to complete the transfer) be willing to send the defendants back? Arguably Netherlands would be legally prohibited under the European Convention from doing so, and this has been clear at least in a normal extradition ever since Soering v. United Kingdom was decided in 1989. Would the existence of Netherland’s adoption of the Headquarter’s Agreement (a multilateral treaty) trump their obligations under the European Convention and relevant ECHR case law? If so, why? Of course, one might argue that a Dutch court would conclude that European human rights law is displaced by international law in this context. I would tend to agree, but not so fast. See the famous Kadi judgment from the European Court of Justice (refusing to apply Security Council sanctions on the basis of European human rights law). 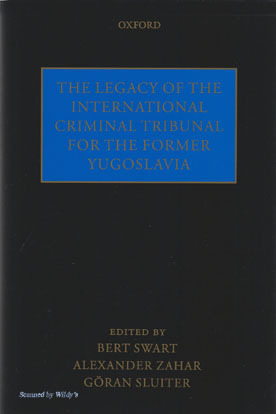 True, the ECHR refused to entertain an invitation from Milosevic to intervene in his ICTY case, although that was in 2002 (Milosevic v. Netherlands), long before the Kadi judgment, and also did not involve the death penalty, which would arguably rank as extremely important under the ECHR’s proportionality methodology. Excellent question. My position is the same one that I take in my "Shadow Side of Complementarity" article: concerns about the fairness of punishment, like concerns about the fairness of trial procedures, do not justify the ICC holding a case admissible. The drafting history of article 17 seems quite clear on this point -- states did not want the Court to serve as a court of appeal, passing judgment on the adequacy of national judicial systems except insofar as they are attempting to shield a suspect from justice. Perhaps, if the death penalty was per se prohibited by international law, it could be argued that Article 21(3) would prohibit turning Saif over to the Libyans. (Though I reject that argument.) But that's not the case, as you point out. Kevin, I agree with your Shadow Side argument. However, there's also the issue of what the ECHR, or a Netherlands Court, would do. Both reject extradition to death penalty jurisdictions. So I'm curious how each court would analyze the issue. 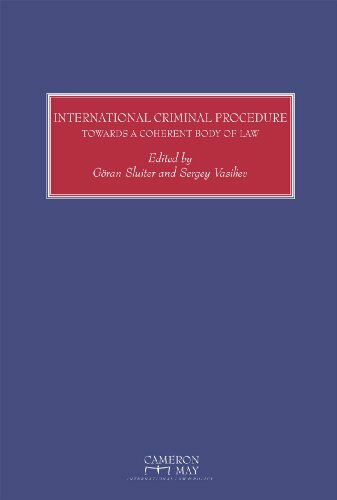 Previously, I would have thought that they would simply note the primacy of international law, but post-Kadi I am not so sure anymore.